My regular column in the UK newspaper The Independent was called 'Molecule of the Month' and it featured a particular chemical that had been in the news recently. In the column I tried to explain what the chemical was, what it did and why it was used. My column ran from October 1990 to November 1996 and covered 72 different chemicals. To date, about half of these can be accessed on The Independent website. My aim is to have all of them on these pages. The molecules are listed in alphabetical order, with the date of publication also given. 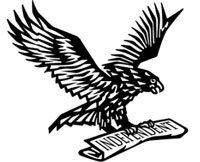 The links below are to the Independent's website.